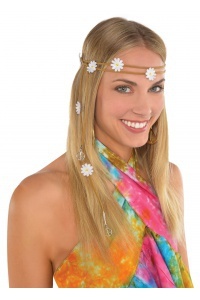 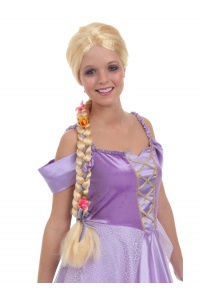 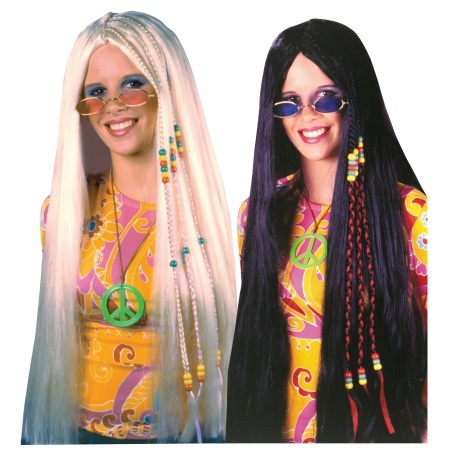 This hippie girl costume accessory includes a long braided hippie costume wig for women. 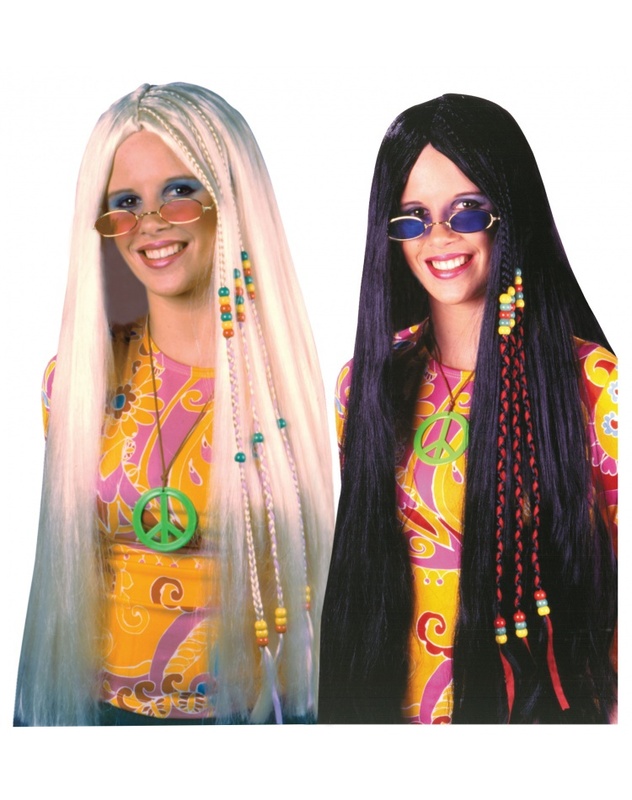 Our hippie costume wig comes in your choice of blonde or black, and both include beaded braids. 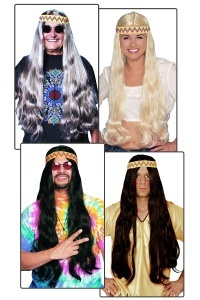 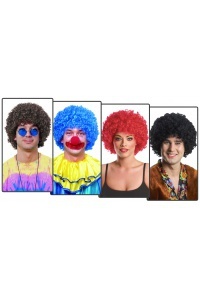 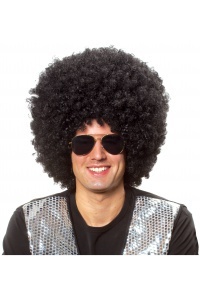 Wear this hippie costume wig with a 60s costume or a 70s costume.